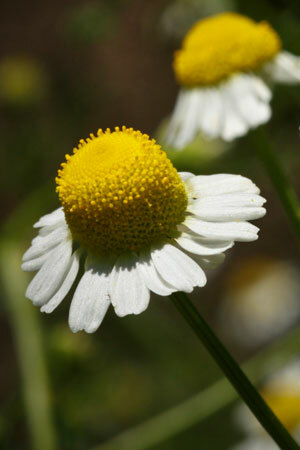 Chamomile is one of the most important herbs in traditional western herbalism. It has many medicinal uses but it is revered in the German herbal tradition primarily for its ability to soothe digestive disorders. It is very safe and often recommended for children suffering from colic. Its vulnerary action makes it useful to internal issues like inflammation of the mucous membranes (e.g. gastritis, stomach ulcers) and also externally for skin conditions (e.g. eczema, dermatitis). It has antispasmodic properties, making it ideal for treating cramping pains in the digestive tract (e.g. indigestion, colic and gas) and also menstrual cramps. Chamomile tea is historically consumed for its calming effects and modern research supports this. It acts as a mild sedative to help people relax and promote a restful sleep. Research also suggests that chamomile may have a modest effect on anxiety.